Good. Easter's done. Have found all those long lost notes about losing weight, my motivations, my monitoring of food, the regime, the recipes etc. Despite another very late night following games at Andy's - the less said about one of those the better - I was up relatively earlier as Basti had an inset day today and had promised to coming swimming with me early. We arrived about 8.15 i guess and it was pretty busy for a Tuesday although it cleared reasonably well. He reckoned he was going to try and get to twenty lengths and I said I needed to do at least fifty not having been for almost a fortnight. I like the pool, but the photographer's made it look amazing! As it was we both did well. I hit my usual sixty-four lengths, a mile, and he got up to thirty-two much to everyone's surprise. We both felt good afterwards too, hurrah. Just as well as we needed to go school trousers shopping and get the groceries. As ever, I didn't have the right change for the car park so we dashed in to the uniform shop but ended up trying on three pairs before finding the ones that need taking up by at least five inches. Never mind. Our supermarket trolley race didn't go too well with him constantly asking me how much longer we had on the parking ticket and what else was on the list. If he'd have just got the blinking stuff maybe we would've been less stressed! Anyway, I sent him out whn the ticket expired and finished off in the shop. After paying I took out a huge display scattering some produce all over the place and giving one old fellow the fright of his life. Ooops! The car was fine but as soon as I got home I realised I'd forgotten to buy any meat. Damn. Off to the butcher's in a mo' then. At home I took his trousers up. They're quite neat and I doubt anyone will notice that I could only find the navy cotton and no black. Then made another tomato soup, provencal style the recipe reckons. Not sure about that but it tasted beautiful. As Mrs Hora put it, 'like real tomato soup without that bought after-taste. Certainly good for the diet. Have booked myself in for a service, am due to consider how the reduced medication has been. Seems ok to me although I'm worried about the next step, went a bit fractious after missing a couple of days of the early morning ones and I can't sleep without the nighttime ones. A beautiful new chunk of vinyl arrived today too. 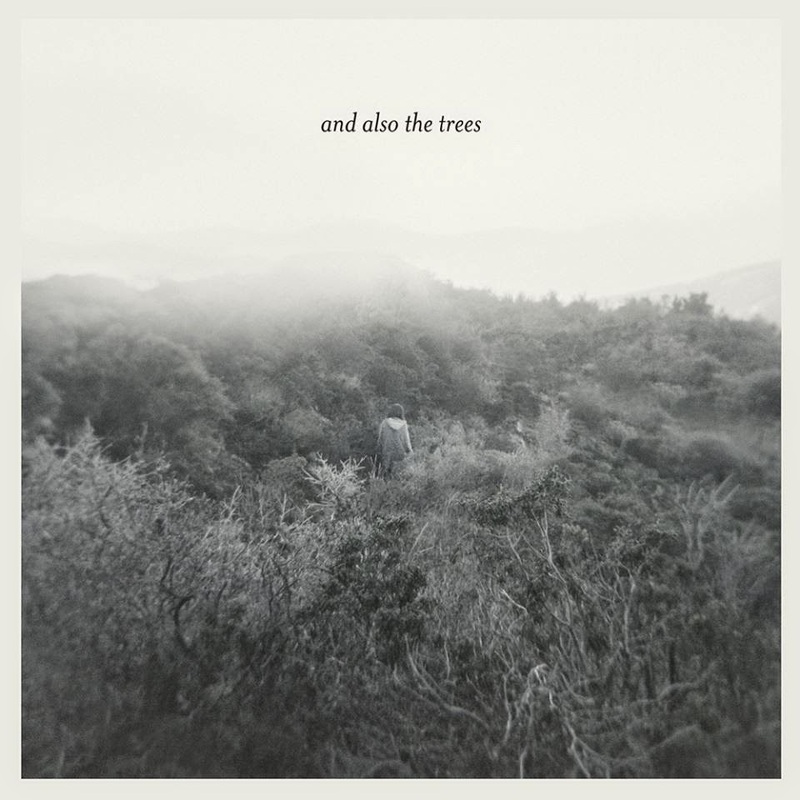 An And Also The Trees 12" produced in France for RSD14. It's so pretty in it's huge sleeve. There were discussions about the box for the game Splendor over the weekend. The contents take up about 10% of the box it's sold in. But then would gamers buy a tiny box and believe the game is as good as it is. I have several small boxed games that don't get the merit they deserve because of that. Strange. Anyway, a 12" sleeve looks brilliant, so much nicer than a cd cover, never mind a downloadable photo. Wonder what David Moyes is up to today. Bet he's inundated with journalists dreaming they're going to get something amazing to write up, plus friends and colleagues trying to be supportive I hope. I haven't looked at the news since I heard an announcement in Lidl. I think I'm in the camp that will say he wasn't give enough time. But then you look at how well Martinez, Pellegrini and Mourinho and have done since last summer and I think, mm, what has he been up to? You could easily add to that list Pulis, and even Sherwood. Still, he'll never have to work again if he doesn't want to. Will probably be the next Scotland manager if he fancies that... And then who's in at Man U? Some big name, for two or even three seasons before he moves on again.